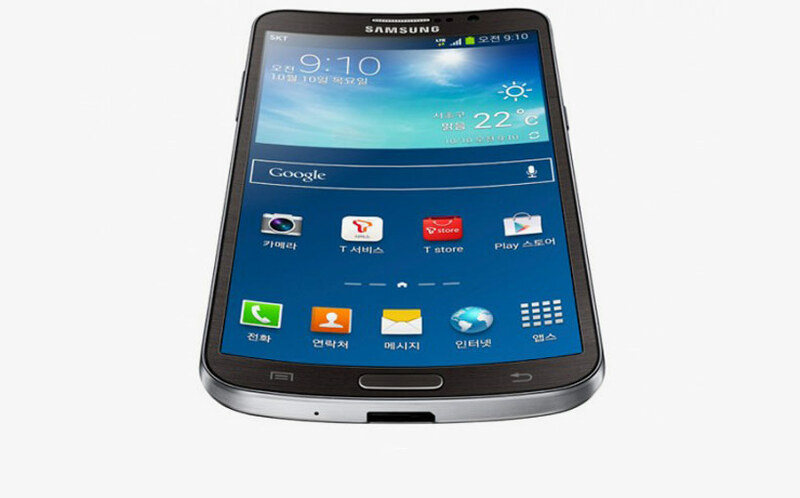 Samsung electronics has introduced the ‘galaxy round’, the world’s first curved display smartphone, to be available october 10th in Korea. The device is equipped with a 5.7” full HD super AMOLED display, measures 7.9mm thick and weighs only 154g. As a result of its unique curved design, users can take advantage of round integration experiences like the ‘roll effect’, enabling users to check information such as the date, time, missed calls and battery easily when home screen is off, and the gravity effect for creating visual interactions with the screen by tilting the device. the large screen size also provides additional benefits to users. Useful one-hand operation features bring a user’s most desired controls closer to a preferred side of the screen and enables enhanced multitasking capabilities.